Professor Fraenkel was a co-founder of IT Power in 1981 which developed the world’s first tidal turbine tested on Loch Linnhe in 1994. 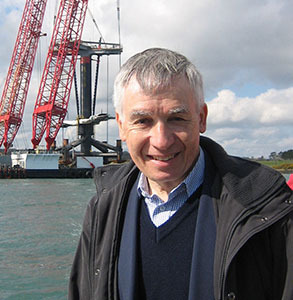 Following that he co-founded Marine Current Turbines Ltd who continue to develop the ground breaking Seagen turbine. Peter is heavily involved with the Industrial Doctoral Centre in Offshore Renewable Energy (IDCORE).